Originally from BC, Canada Sarah started her massage career as a Massage Practitioner working at one of the top Spas in Whistler BC. However, for the past 7 years she has called Sydney home. In 2015 she graduated from Meadowbank TAFE with a Diploma of Remedial Massage and was selected to represent the Massage Department in the Northern Sydney Institute Career Guide. Since her graduation she has been working hard on building her experience and has had the pleasure of working with many elite athletes and sport teams. Sarah spent a lot of her childhood outdoors and indulged in sports such as Soccer and Snowboarding. She has experienced her fair share of sports related injuries and knows the impact an active lifestyle can have on your joints and muscles. 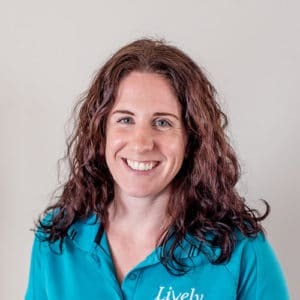 She has always had a passion for health and well-being and strongly believes that the body has an amazing ability to heal itself through the use of manual therapies. She plans on expanding on her qualifications by completing Dry-Needling and Craniosacral Therapy Courses in the very near future. Sarah is available on Monday and Thursdays 9:30am – 5:00pm, Fridays 10am – 4:15pm, and Saturdays 8:45am – 3:00pm.